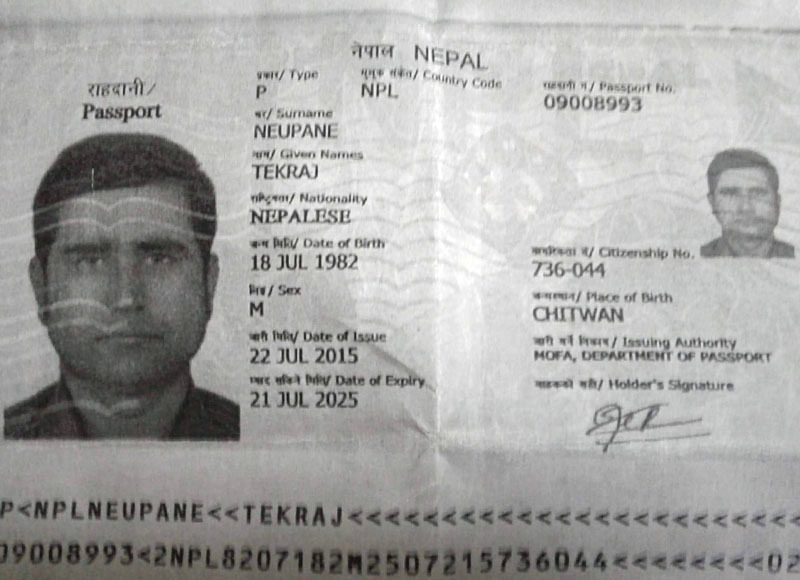 Nepali Migrant worker in Saudi Arabia has filed application to rescue him and send back to Nepal. Tek Raj Neupane from Chitwan went to Saudi Arabia for Foreign Employment and has been working in Al Yasin Hassan Company since 3 Years but for last 1 year, he has been victimised. He requested Company Owner many times to send him back to home Country but Company Owner was indifference towards his problems. So, he appealed GEFONT Support Group in Saudi Arabia to help him. GSG Saudi has forward his application to Nepali Embassy in Riyadh for further process. GSG Saudi had requested Nepal Embassy in Riyadh for necessary action to send him back to Nepal.